Add a side of vitamin D to your order. The sun is out, the birds are chirping and your stomach is growling with hunger. Not sure what to do about it? I’ve got you covered. 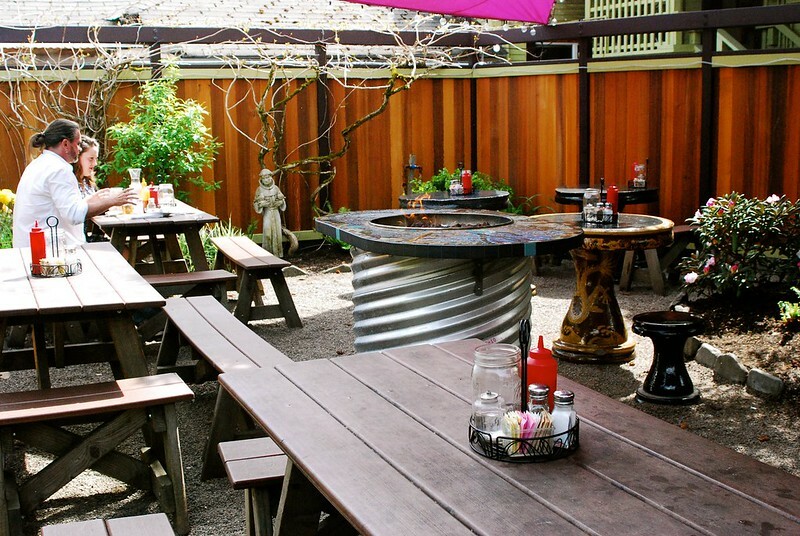 Throw on a tank top, a pair of shorts, some flip-flops and head out to one of these five great restaurants with outdoor seating. 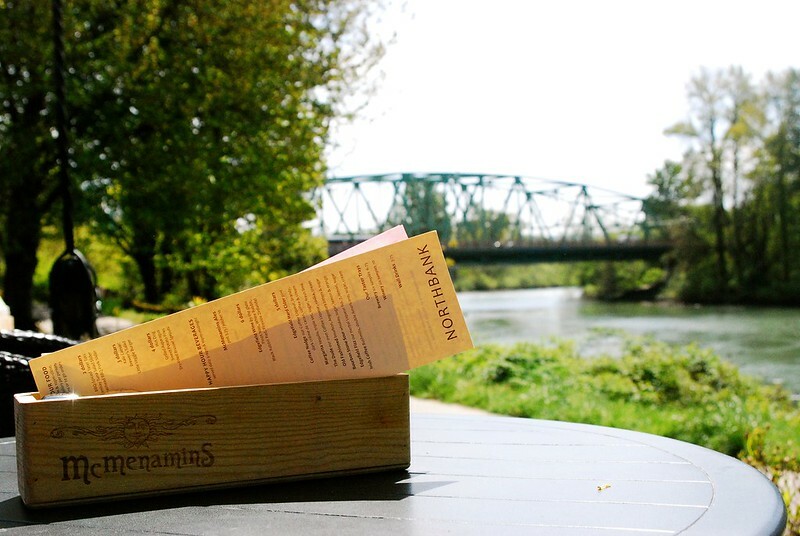 Seated up against the Willamette River, North Bank is a prime spot to lunch it up with friends in the sun. The outdoor patio is huge, and the river view is fantastic. As for the menu, McMenamins serves quality finger-lickin’ pub grub. I’m talking quality burgers, sandos, pizzas, salads and more. They also brew their own selection of craft beer. A long time Eugene favorite, Papa’s serves authentic, southern style barbecue that’ll make you wanna slap yo’ momma. No exaggeration. The menu is killer and the signature cocktails are off the chain. 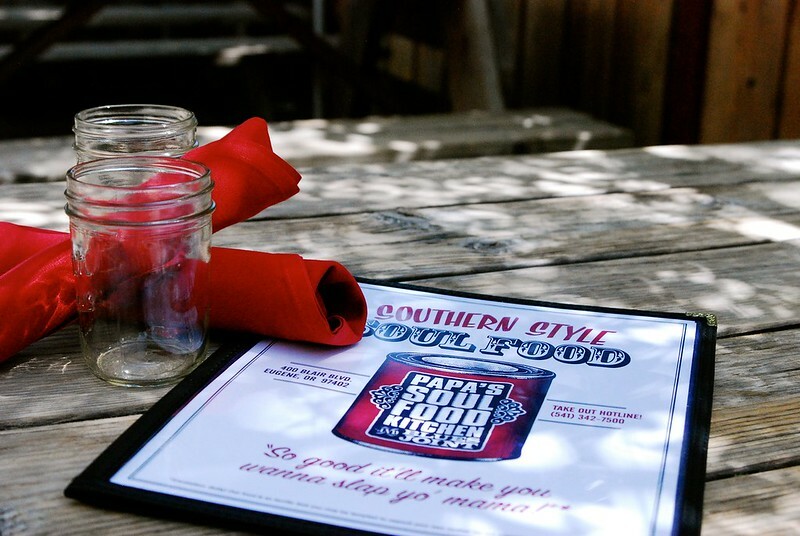 The outdoor seating area is the best place to be on a hot day, and there’s even a stage on the back porch where local blues, soul and jazz artists perform weekly. Located near the Wow Hall, this charming little place is perfect for a date with your spring fling. 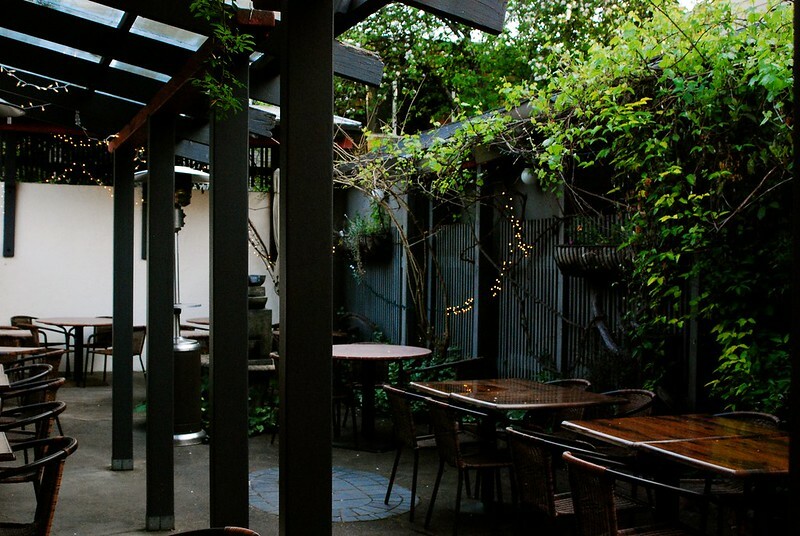 It’s got an outdoor courtyard decorated with old vines, a trickling fountain, wrought iron tables and an overhead trellis. The Vintage serves delicious crepes, tapas, fondue and several other specialty entrees. The drinks are pretty damn good, too. They won a Best of Eugene award for Best Cocktails in 2013. Just west of campus, the Cornucopia location on 17th Ave. is a popular go-to eatery that never disappoints. If you’re feeling indecisive, it’s the place to go. The menu has something for everyone and there’s a rotating tap list for beer drinkers. 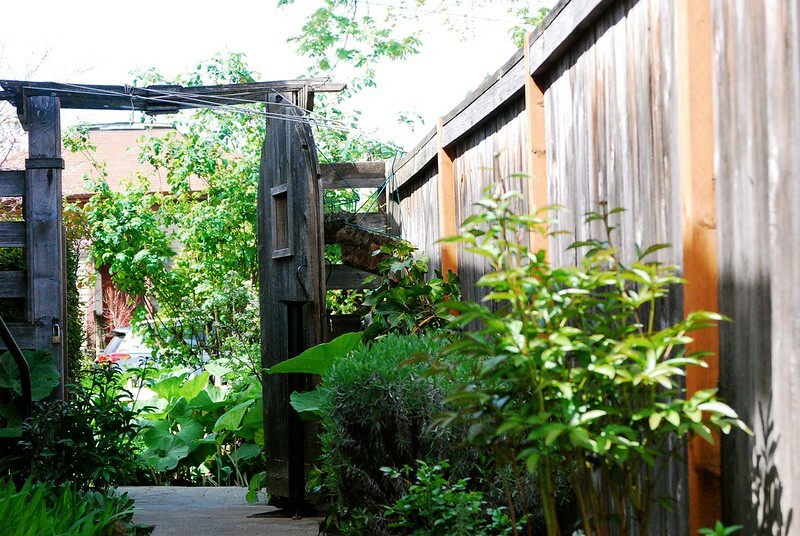 Situated in a neighborhood setting, the vibe is nice and laid back. It’s a solid place to go for a casual meal and to catch a few rays on the patio. This cozy and elegant Mediterranean restaurant is a great destination for a fancier dinner date or an outing with your fam. It’s a little more spendy and only open for dinner, but it’s a great opportunity to show how sophisticated you are now that you’re in college. I strongly suggest an early evening meal in the courtyard as the sun goes down. If you’re lucky, the chef will be whipping up some plates outside where everyone can watch.